Gotta love January. Oscar movies in the theatres, Australian open tennis on the computer. We went to Toronto last weekend for a party at my cousin Jonathan’s house. He is sadly moving to Australia in a couple of weeks. They had a moving party to empty their liquor cabinet and freezer. Being a chef, Jont made fabulous food for the adults on Saturday night, then a great family-friendly breakfast on Sunday. At one point I looked around the room and felt completely at peace and happTy surrounded by family and a friends having a great time. I thought, not for the first time how lucky I am to have such a great family. 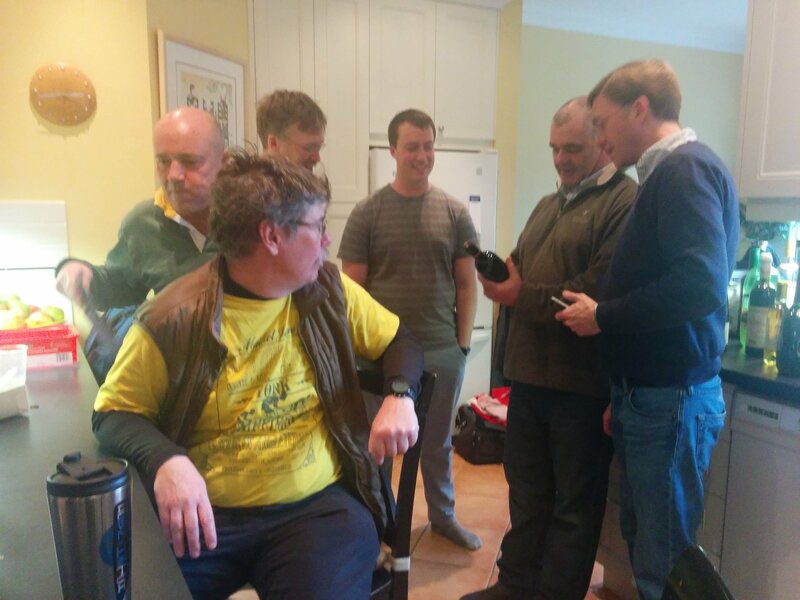 This picture contains two cousins, one cousin in law, one nephew, one brother and one husband. Today’s hat is for Charles, a very good friend of the family. Because it is a man’s hat, I get to roll out the Styrofoam man I found in Michaels one day. 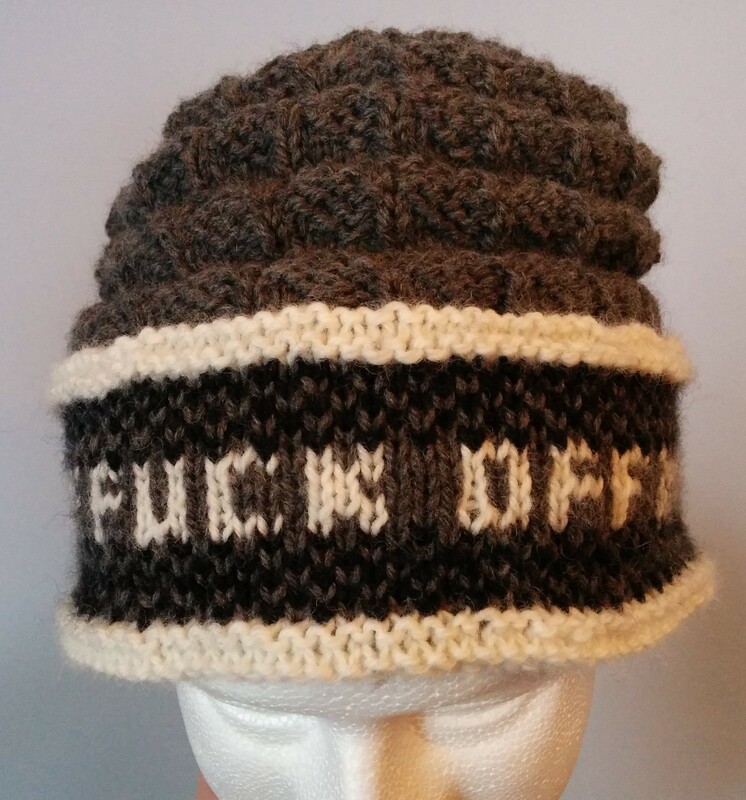 This hat is a special request because he likes my reversible swearing hats and asked specifically for this. 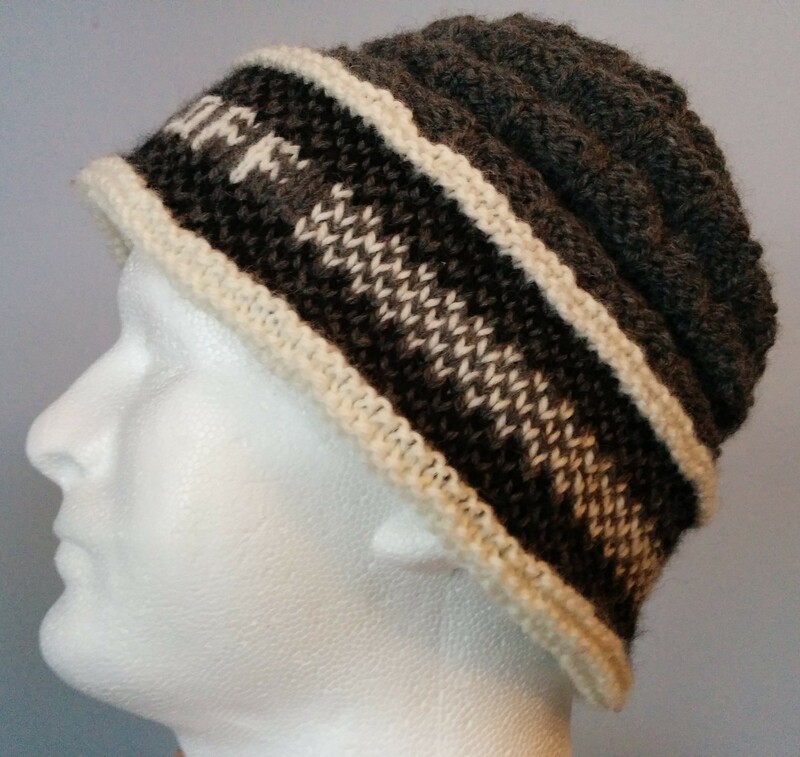 It uses Fancy Bricks, pg 74 for the brim and Vertical Parallelogram Check, pg 25 for the main part of the hat. This stitch is virtually the same on both sides. If you are offended by bad language, please ignore the last photo. He claims he will wear it proudly, but of course he will have the fancy brick option as well. 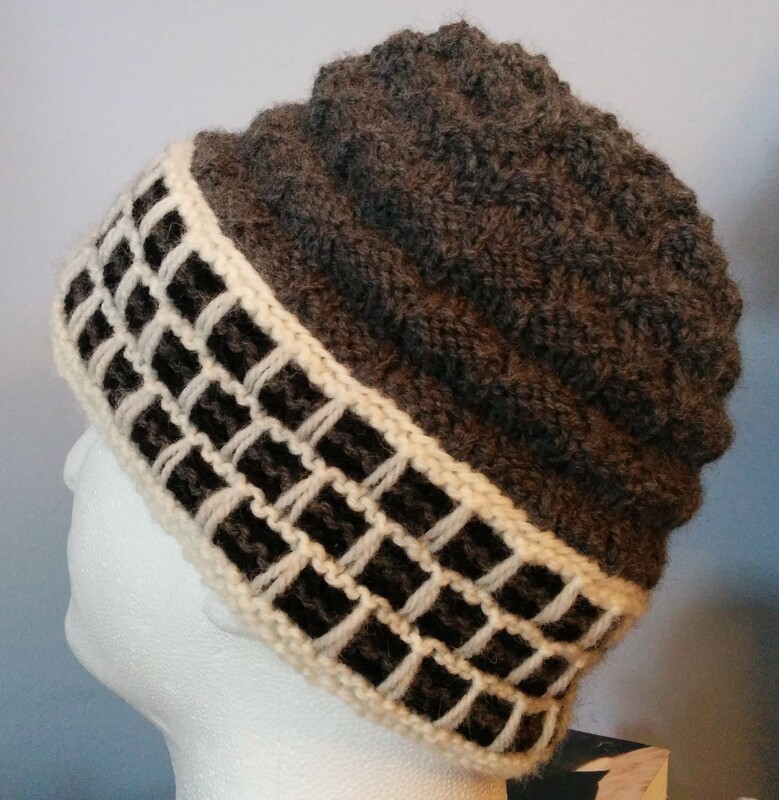 This entry was posted in Barbara Walker and tagged A Treasury of Knitting Patterns, Barbara Walker, knitted hat, Patons Classic Wool, reversible hat on January 20, 2016 by gillianknitter.